Ladder for Booker T. Washington. 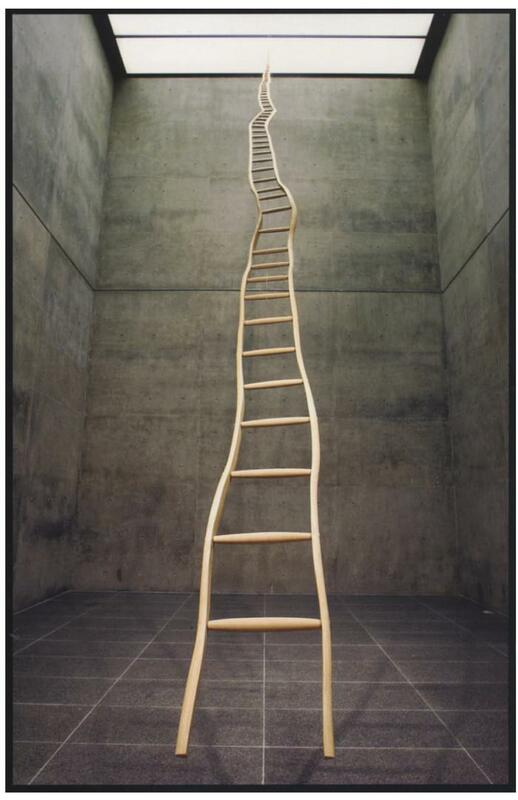 Martin Puryear. 1966. Wood (ash and maple). 36 × 1.9 feet (narrowing at top to 3 inches). Collection of the Modern Art Museum of Fort Worth. Gift of Ruth Carter Stevenson, by Exchange.